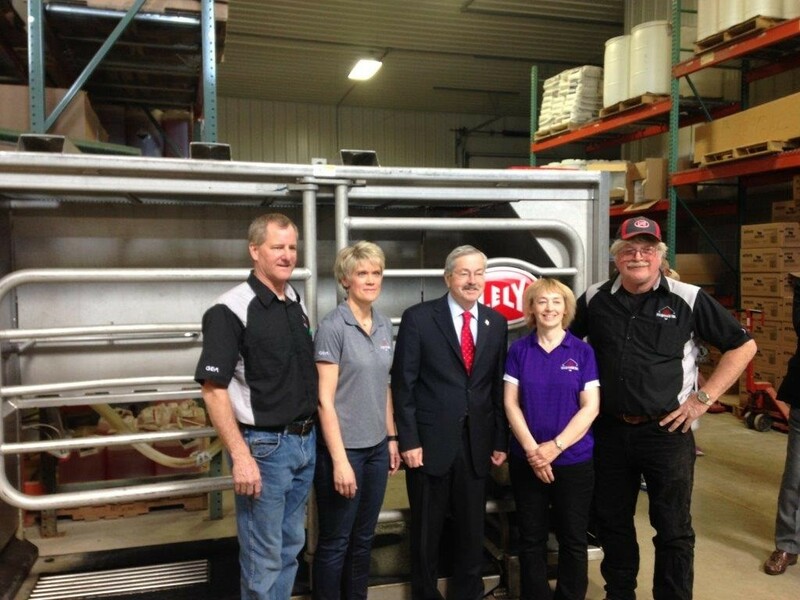 While on a tour of Iowa small businesses, Iowa Governor Terry Branstad stopped at Fitzgerald’s Inc. to tour the facility in Elkader and learn more about changes in the dairy industry. 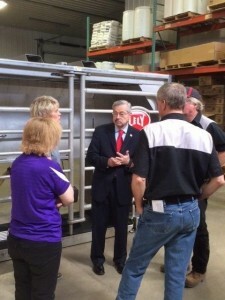 During the visit, the focus remained on technology and how robots have changed the way dairy producers and companies like Fitzgerald’s do business. Fitzgerald’s owner, Mike Fitzgerald shared how equipment has evolved from the milker buckets his dad started servicing and selling in 1959 to products like Lely’s Astronaut A4. “Robotic technology has put excitement back into the industry. We see it in our custo mers and in our employees,” he said.